T H E 3 0 M I N U T E C O O K, the last of my trilogy of quick, everyday food, goes beyond the European territory covered by Real Fast Food to include India, Thailand and China. There are even a few colour photographs to inspire. 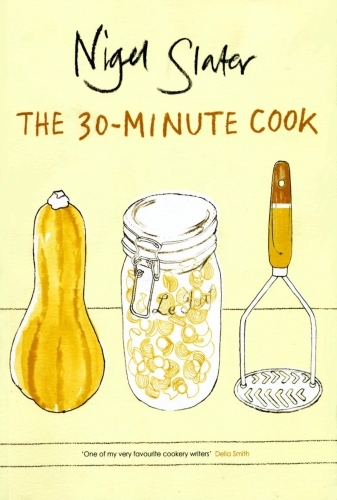 Of all my early books, (it was first published in 1994) the 30 Minute Cook is one that people seem to mention as one of their most used. I have certainly seen some very food-splattered and obviously much-loved copies around. It must be said, however, that the book is looking a little dated.